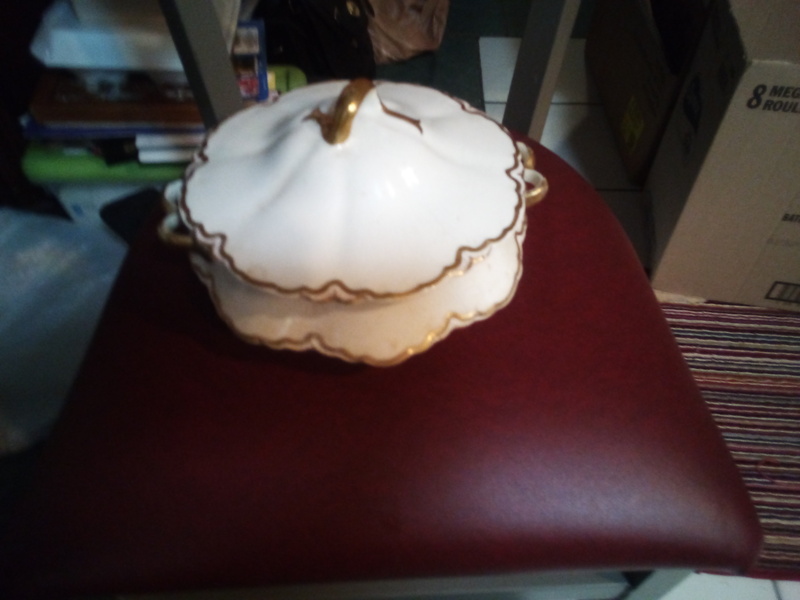 18k gold lined China. 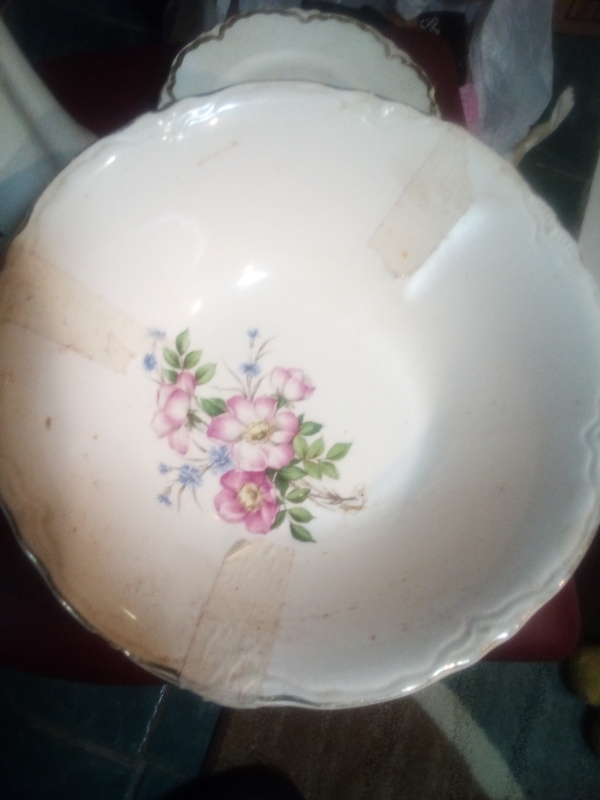 I would like to know if anyone knows about this China or it's value? 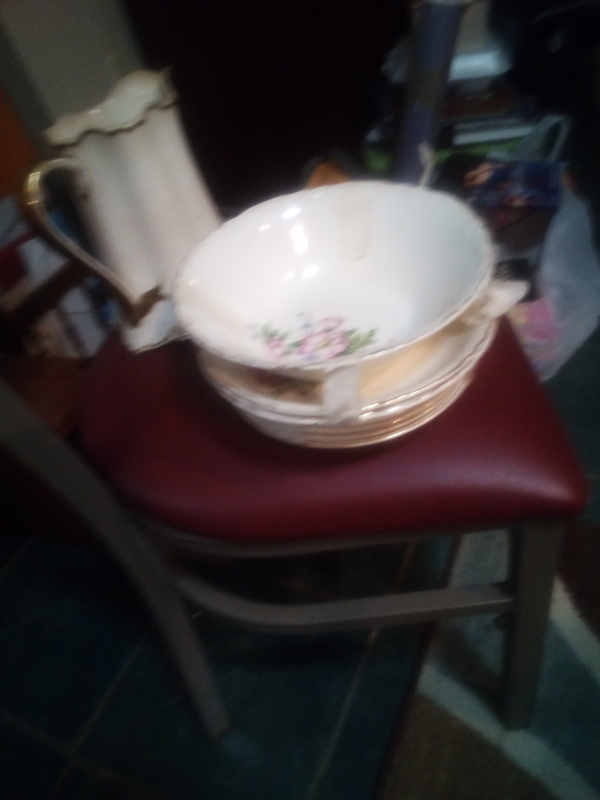 I have a friend looking to sell it and I am trying to figure out how to price it for her. 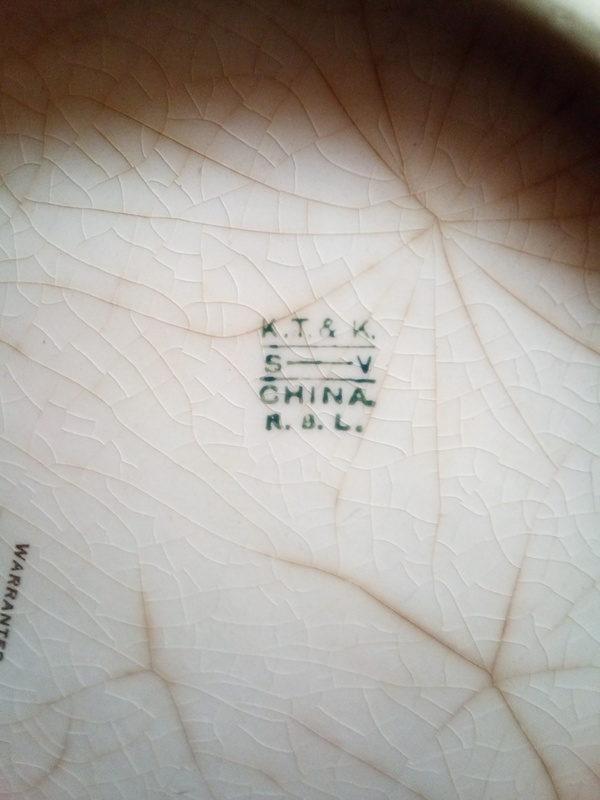 Thank you in advance for your time.I have researched the stamp on the back and it's KT&K China. I can't make out the markings, too blurry. that said, markings in gold indicate 20th Century manufacture, seldom used befor World War Two (1939). If you could provide clearer images of the marking I could narrow it down for you. 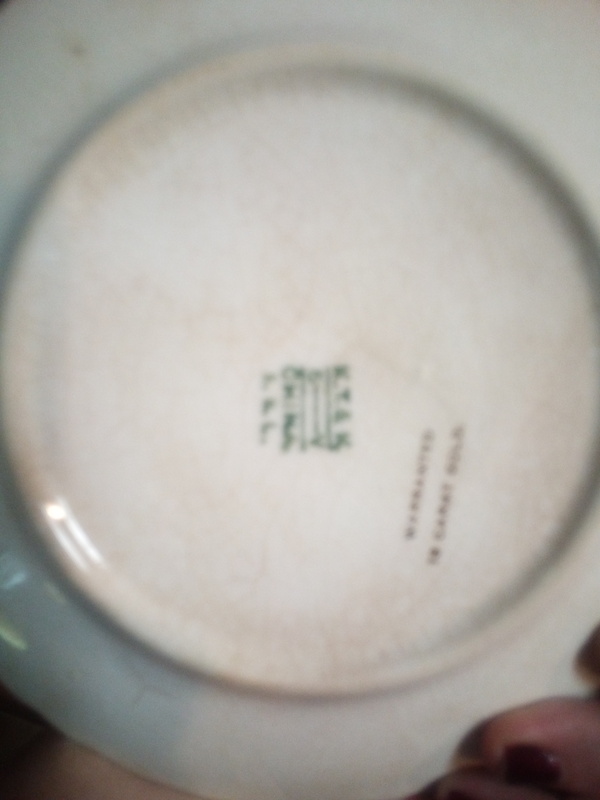 While researching various different marks I found the mark on the back it's Knowles Taylor & Knowles China. 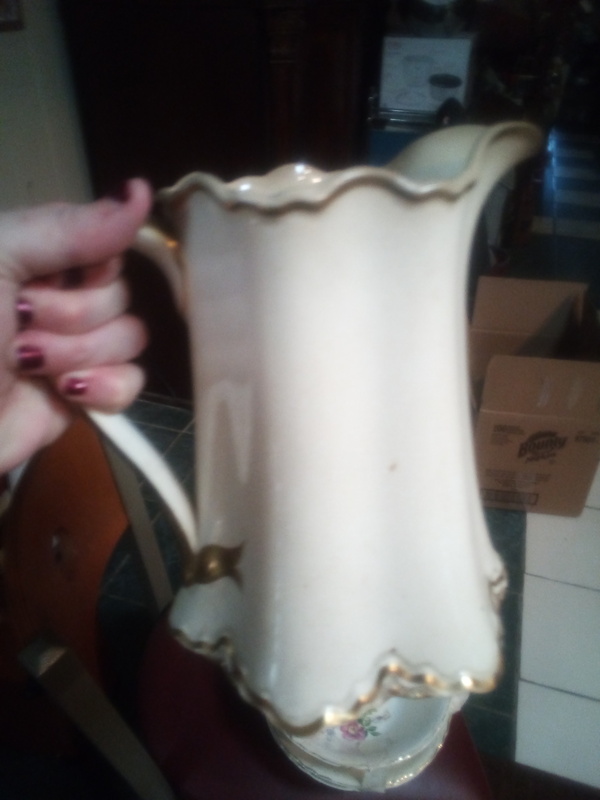 How do I determine it's value so that I may price it? Thank you for your time.